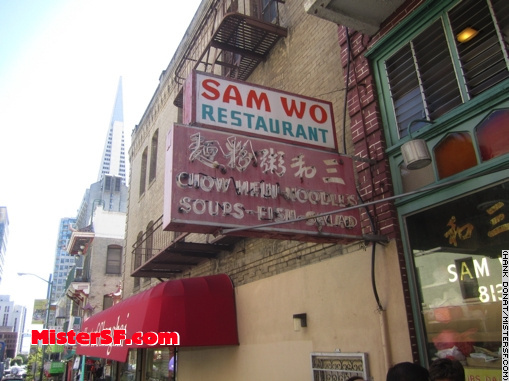 Sam Wo Restaurant, 813 Washington Street, closed today after 100 years. 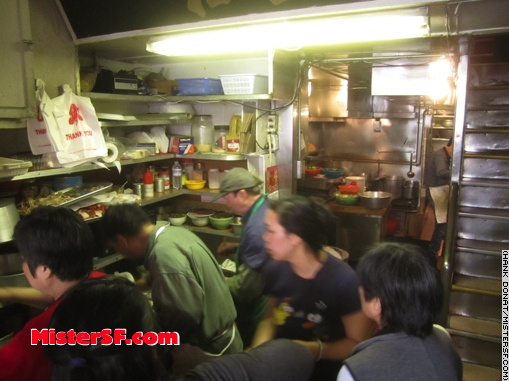 Sam Wo’s was a such San Francisco institution that the City’s history can be told through its layers of grease. In recent decades it was beatnik hangout, a post-bar pitstop through rock, disco, and punk, and most recently a hipster dive. The late Edsel Ford Fong was the World’s Rudest Waiter, a San Francisco character who found fame by being mean and hostile to customers at Sam Wo’s. 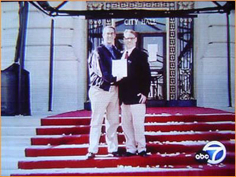 Armistead Maupin and Herb Caen wrote about Fong in their columns and books. Fong died in 1984. His legend endures as a branded take away counter at AT&T Park. Nothing could stay the ravages of time at Sam Wo’s jook joint. In the end, not even City Hall could save it. Owner David Ho serves the final lunch crowd. 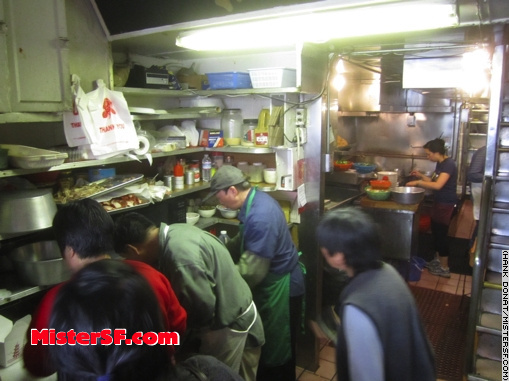 Julie Ho runs the famous dumbwaiter on the final day. 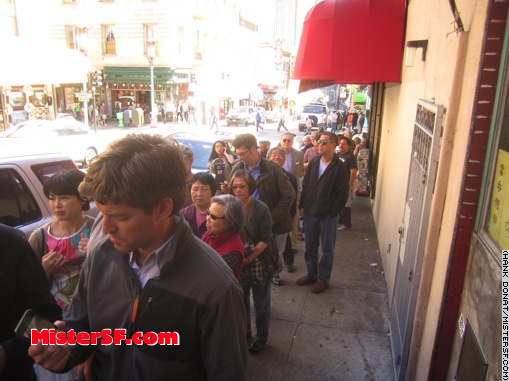 Line Around the Block: Mister SF has been extolling the virtues of San Francisco’s greasiest, saltiest dives online since before anyone yelped. 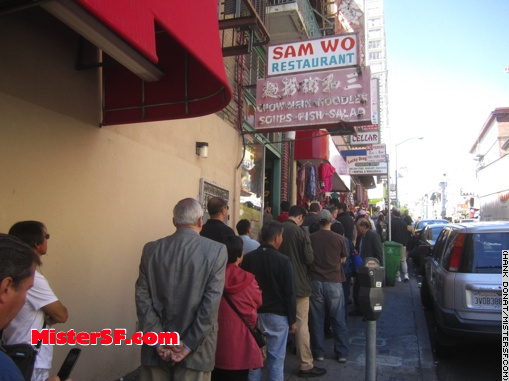 However much it was beloved, Sam Wo’s only existed so Tu Lan on 6th Street wouldn’t be alone on one end of the spectrum. As history has shown, hygiene is always better than nostalgia.